Data from the Workplace Safety and Insurance Board (WSIB) suggests that the number of workplace injuries in Ontario’s construction sector is rising year after year. 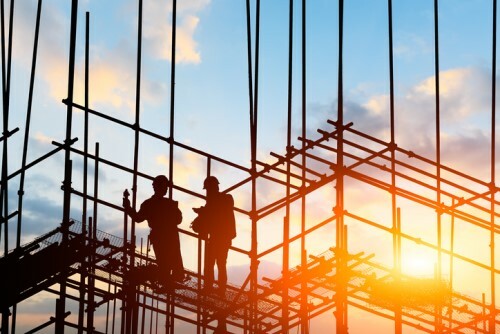 The association noted that the number of recorded critical injuries have noticeably increased in recent years; 180 construction-related critical injuries were reported in Ontario in the fiscal year of 2014, followed by 158 in 2015, and 206 in 2016. The number of construction-related traumatic fatalities also remains relatively consistent year-over-year, the organization said. There were 24 traumatic fatalities recorded in 2014, 19 in 2015, and 23 in 2016. Several members of the construction industry believe that the higher number of critical injuries is partly due to the ministry of labor expanding the definition of what can be considered a “critical injury” at the start of 2017. The definition change meant injuries that were once considered minor have been reclassified as critical injuries instead, impacting records for the prior year. Supporting this belief, data from the ministry of labor noted that in the period between April 01 and Dec. 31, 2016, 155 critical injuries were logged. By comparison, the total number of critical injuries for the fiscal year of 2015 was 158. Other construction industry leaders suggest the high numbers are a result of increased construction activity underway across the province. “You can expect that the busier you get, the more hours worked, the more new people that come into the business, there is at least an opportunity for more accidents and injuries,” Council of Ontario Construction Associations president Ian Cunningham told Canadian Occupational Safety. The rise in injuries and fatalities flies in the face of the Ontario Ministry of Labor’s numerous attempts to improve safety at construction work sites in recent years. Such attempts include the passage of a Construction Health and Safety Action Plan in May 2017 that sought to increase awareness of construction safety regulations, and the implementation of mandatory working-at-heights training for workers in 2015.